WAYWARD #1 introduces Rori Lane, an outsider by nature, who is transplanted to Tokyo to live with her single Mom. She's feeling out of sorts, worried about fitting in and, as if that wasn’t enough, strange things are beginning to happen. Glowing symbols and patterns are starting to appear before her eyes… and she's the only one who seems to notice. "I'm overjoyed readers are discovering Wayward and telling their friends about it. We've got exciting plans for the series and having this kind of tremendous launch gives us the momentum we need to take our story even further," said Zub. WAYWARD #1 has completely sold out at the distributor level, but may still be available in comic stores. It is currently available digitally on the Image Comics website (imagecomics.com) and the official Image Comics iOS app, and on Comixology on the web (comixology.com), iOS, Android, and Google Play. 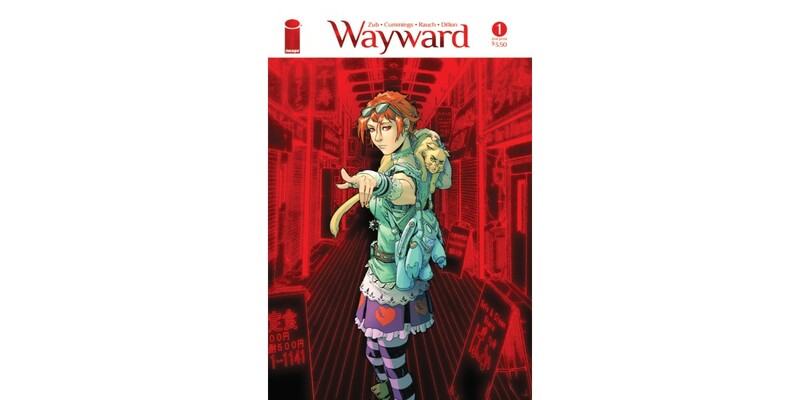 The second printing of WAYWARD #1 (Diamond Code JUL148487) will release on 10/1. WAYWARD #2 (Diamond Code JUL140588) will hit stores on 9/24. A variant cover by Riley Rossmo is also available with Diamond Code JUL140589.